Whether you’re set up in your RV at a campground or “boondocking” in a camper off the grid, your trip is enhanced when you have a steady, reliable source of electricity. It is important to keep in mind that any power source can be hazardous to people and electrical appliances when not handled properly. Keep yourself, your family, and your RV furnishings safe by following these three basic safety and maintenance tips. 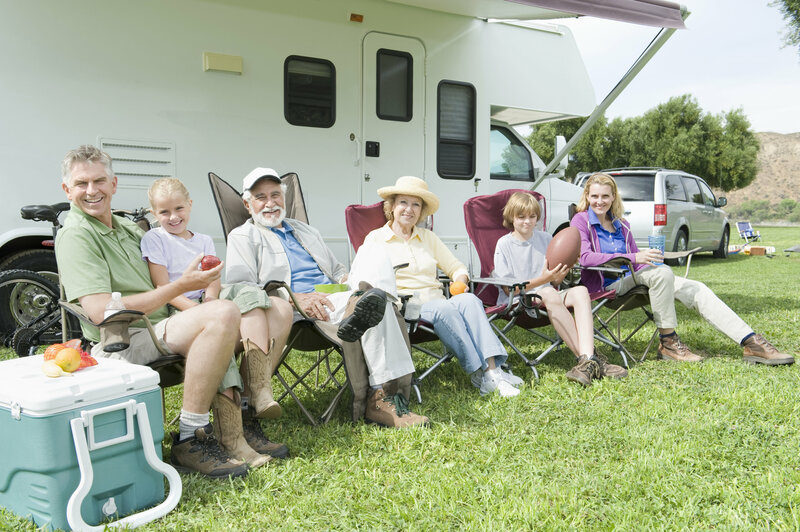 Recreational vehicles (RVs) and campers are set up to be plugged into the grid or run off auxiliary power from a 12-volt battery or an external generator. In some smaller campgrounds, you may be hooked up to a lower household plug offering 15 or 20 amps. You can use an adapter to tap into this power source, but the possibilities of power surges and inadequate electricity may damage the compressors in your air conditioner and refrigerator. Use the minimum of appliances and devices when hooked up to the lower amperage to avoid overtaxing the power source and damaging your appliances. Even when you’re plugged into the grid, your camper is designed to convert some of the AC power to 12-volt DC power to run these devices. The battery is recharged when you’re plugged into AC power, solar panels, or when the RV engine is running. The third source of power possible in an RV is the onboard or auxiliary generator. Your onboard or external generator runs off of fuel and provides enough power to run your 120-volt appliances and furnishings. It can also recharge your RV battery to use your DC devices. Generators give you more options when off-grid. The worst thing you can do to a generator is fill it with fuel, use it a few times, and then just let it sit. The fuel left in the carburetor forms a lacquer that fouls the fuel jets at least and makes the generator fail to start at worst. Run your generator for a half hour once a week to keep fresh fuel circulating. If you won’t run the generator for a while, start it and run it for five or ten minutes. Then, cut off the fuel supply while the generator is still running. Let the engine die on its own, which it will do once all of the fuel is out of the carburetor. Now, you can store the generator long-term without worrying about fuel damage. Campers often drain 12-volt batteries inadvertently by leaving a light or a radio on all day when no one is inside the RV. Check to see if your battery has a shut-off switch. Turn the battery power off when you’re away from the camper, and you won’t lose power. If your battery doesn’t have this switch, your RV supplier can order one for you. Electrical surges cause numerous problems in your RV, and some of them may pose a shock hazard to you and other people in or around the camper. Use a high-quality surge suppressor to keep your electrical system safe from high- and low-voltage situations. Surge suppression also protects your RV from damage due to improperly maintained or designed electrical service. Carbon monoxide poisoning is a very real danger when using generators near people’s living quarters. Carbon monoxide is a dangerous gas produced by burning fuel. If the colorless, odorless gas builds up indoors, it can sicken and kill people and pets. Never place generators indoors or anywhere near your RV windows. Check the airflow around your generator to ensure fumes don’t enter adjacent RVs. Buy CO and smoke detectors to alert you to dangerous interior air conditions. Call Fretz RV or come for a visit to find new RVs with all the electrical bells and whistles. We also carry parts to repair or enhance your RV electrical system.